UFC stars Conor McGregor and Khabib Nurmagomedov will not be present at the Tuesday's meeting of the Nevada Athletic Commission after reaching a settlement for their involvement in the UFC 229 post-fight melee. The terms of the settlement agreements have not been disclosed yet, but rather from McGregor and Nurmagomedov, a five-member panel will vote on whether or not to agree to the terms. Nurmagomedov associates Abubakar Nurmagomedov and Zubaira Tukhugov have reached settlement agreements in lieu of appearing at the hearing. Both McGregor and Nurmagomedov have been on temporary suspension from competition since the incident in question which took place on Oct. 6 at T-Mobile Arena in Las Vegas. 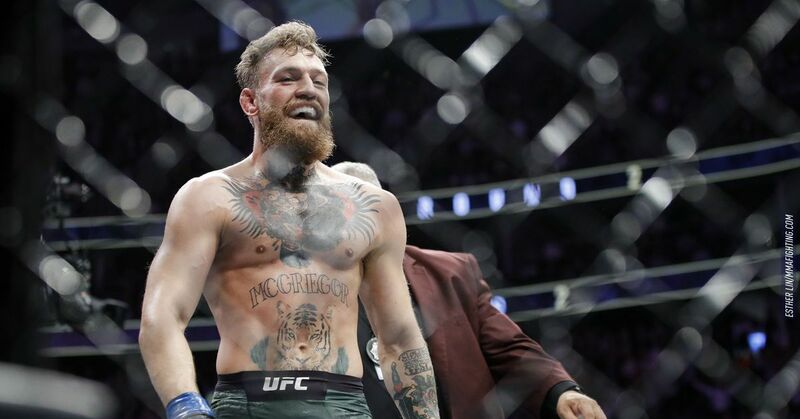 Following Nurmagomedov's fourth-round submission win over McGregor in the evening's main event, the UFC lightweight champion exited the cage and confronted McGregor's cornerman Dillon Danis. Meanwhile, McGregor became embroiled in a physical altercation with Abubakar Nurmagomedov, Tukhugov, and Esedulla Emiragaev inside the cage. All the fighters involved are potentially facing suspensions and / or fines. Still expected to be in attendance at Tuesday's hearing is UFC light heavyweight champion Jon Jones. His recent return to competition at UFC 232 on Dec. 29 was mired in controversy after the NAC declined to grant him a license to compete in Nevada due to abnormalities being discovered in his last 18 months of test samples. The UFC scrambled to move from Las Vegas to the Los Angeles area, where the California State Athletic Commission tested and licensed Jones on less than one week's notice. Jones goes on to defeat Alexander Gustafsson via TKO in the UFC 232 main event at The Forum in Inglewood, Calif.
Jones will be looking to receive a license from the NAC so that he can defend his title against Anthony Smith in the main event of UFC 235, which is scheduled to take place at T-Mobile Arena in Las Vegas on March 2.